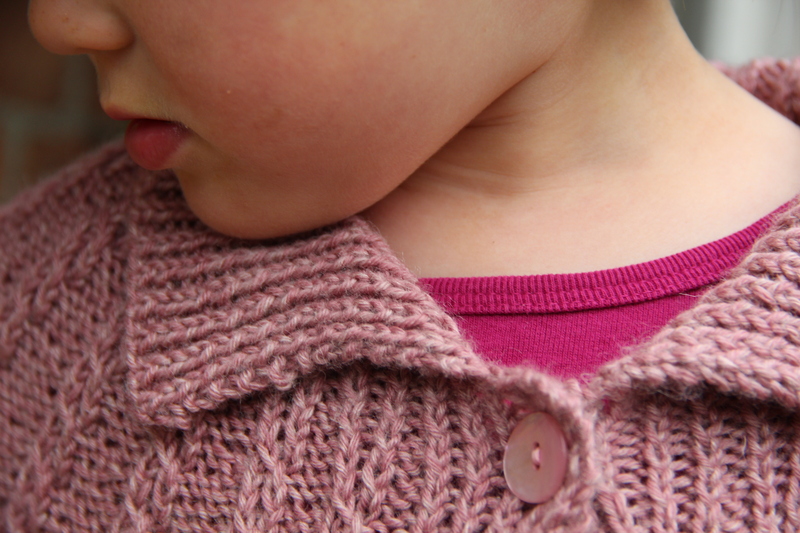 I was thrilled to receive a copy of Rowan Studio 30 recently – I love knitting children’s clothes for my girls! This latest collection from Rowan designer Sarah Hatton features a capsule wardrobe of knits reflecting Folk influences that are popular this season, for 0-5 year olds. 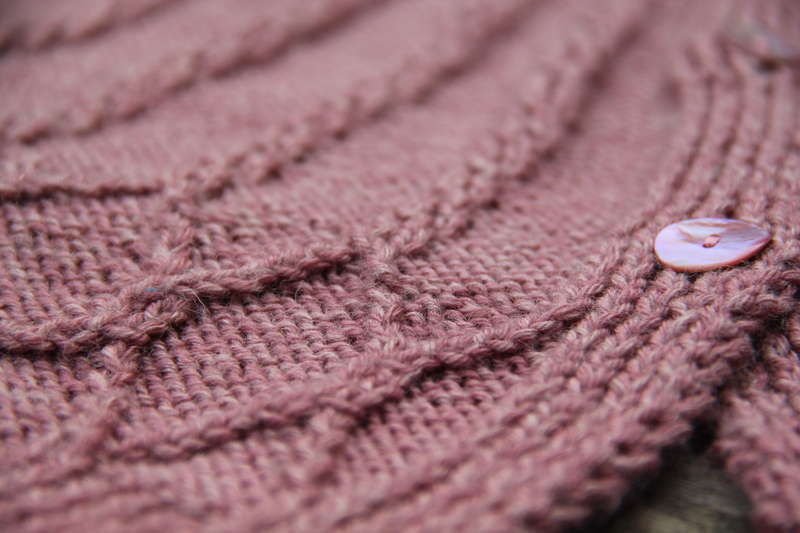 I chose some Rowan Baby Merino Silk DK in the gorgeous Rose colourway 678 to knit the Louisa Cape. 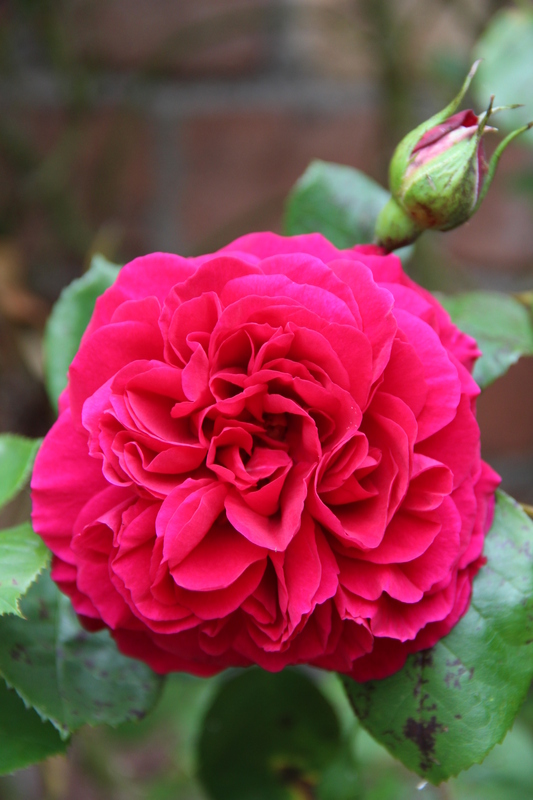 Such a pretty colour, with a real vintage appeal. I was really pleased with how the cape turned out. I knitted the size to fit age 4 so that there would be a substantial amount of growing room. It’s a clever design, and I can see the cape lasting way past Age 4, as my daughter grows. An adult version would be rather good too don’t you think!? 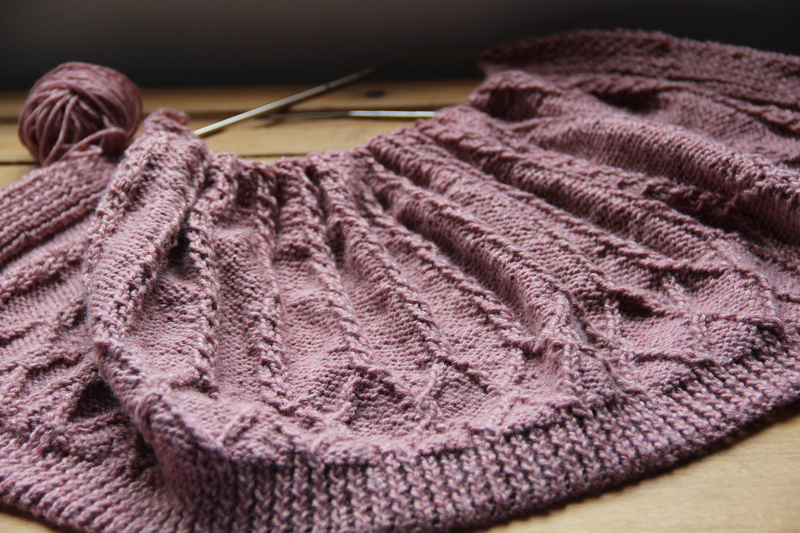 The Baby Merino Silk DK was fabulous to knit with. It’s a machine washable blend of merino wool and silk which I discovered, when washed, has a beautifully soft feel to it. 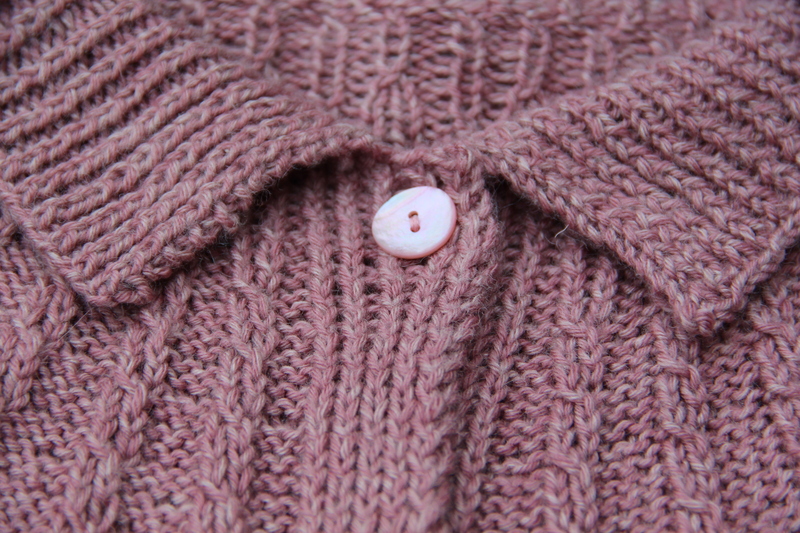 The quality of the yarn is really important with clothes for little ones – they really appreciate something warm and light but also soft against their skin. This yarn comes in a gorgeous range of colours ranging from more traditional pale pastels to bright shades that would be popular with toddlers and older children. In the brochure, the Louisa Cape is knitted in a lovely bright sunflower yellow – I think this would look amazing, but my daughter has an obsession with pink! You can check out the Rowan Studio 30 Collection here. Go take a look at those gorgeous patterns for little girls and boys! 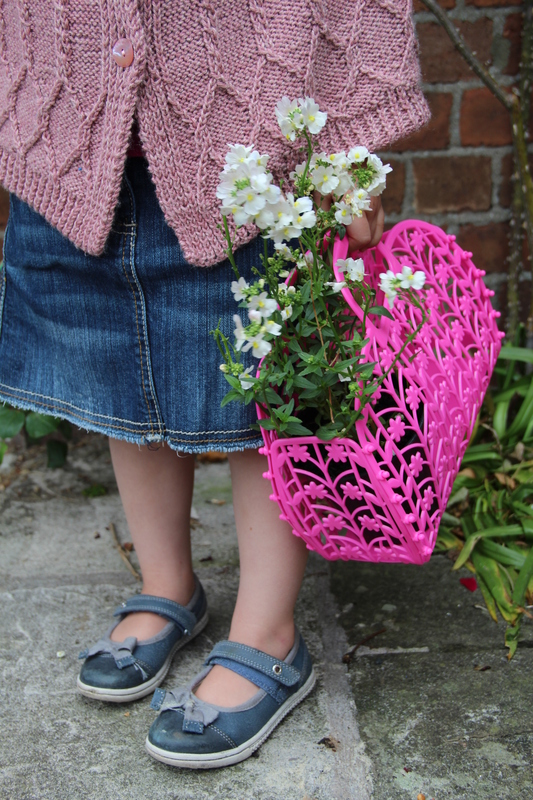 There are also two free patterns from this collection to download on Rowan’s website – just sign up for free to become a Rowan member. 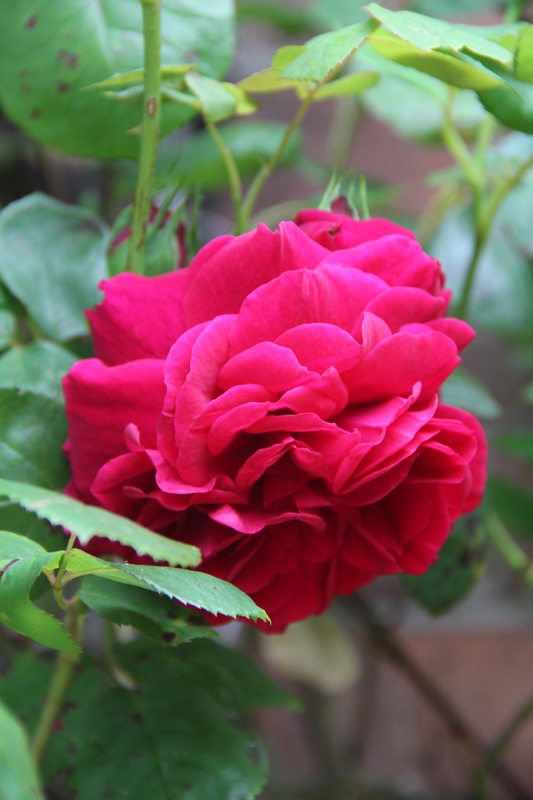 I’ll leave you with a couple of photos of my Tess of the d’Urbervilles rose ( David Austin Roses) – it seemed rather fitting with the Rose yarn! 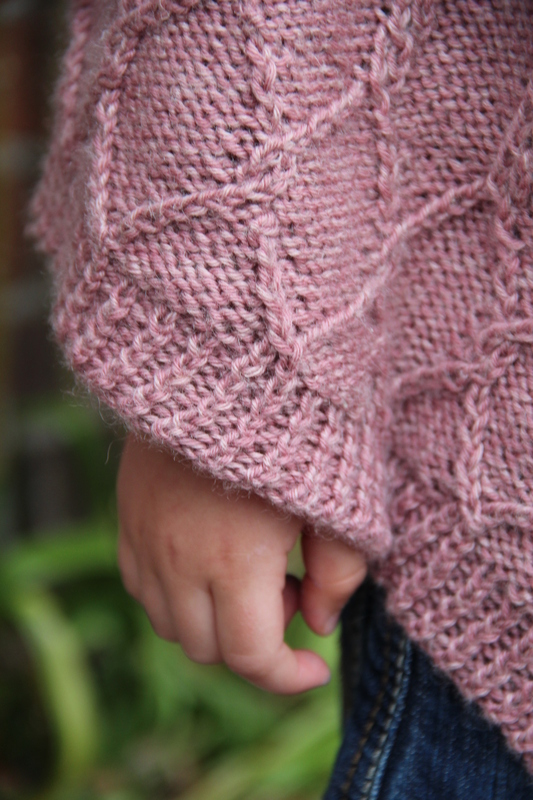 P.S, if you love to knit clothes for children, keep an eye on my Facebook page and this blog for some exciting news coming soon about the new Rowan autumn/winter 2014 collection for little ones. 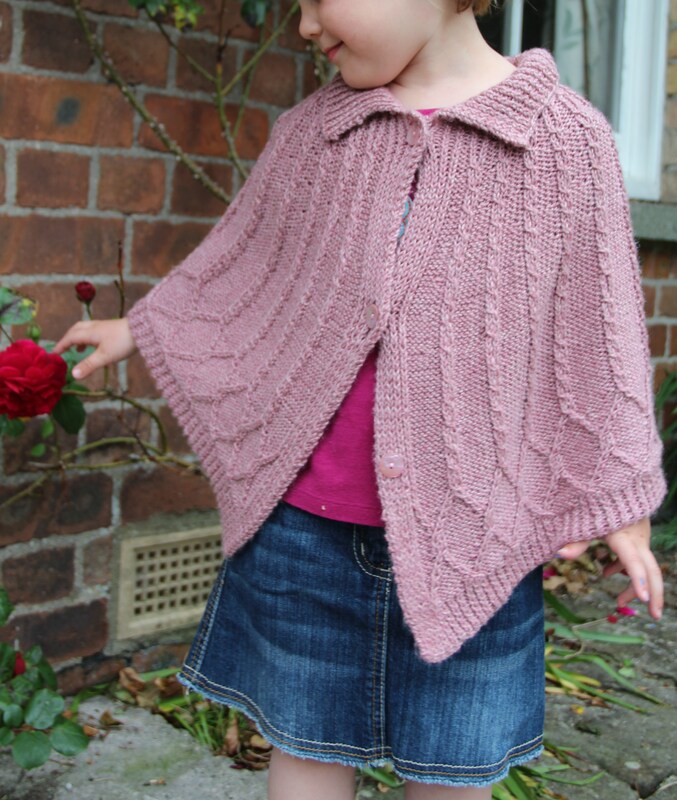 This entry was posted in Knitting, Rowan, vintage inspired and tagged childrens knitted cape, childrens knitting patterns, Louisa Cape, Rowan, Rowan Baby Merino Silk DK, Rowan Studio 30, Sarah Hatton, Vintage inspired knits on June 20, 2013 by Mint Essential Wellbeing.